MCN Office Manager, Alison Silcox, tested Tucano's Urbano Leg Cover Panta-Fast (£59.99) over three months, covering 500 miles. What’s good? "They might make me look like I’m off trawling the North Sea for cod but, looks aside, these have proved to be a warm and fully waterproof layer. "The bib secures with an adjustable neck strap and means there’s an extra layer of warmth at the chest and no draughts get through the combination of this and my textile jacket. 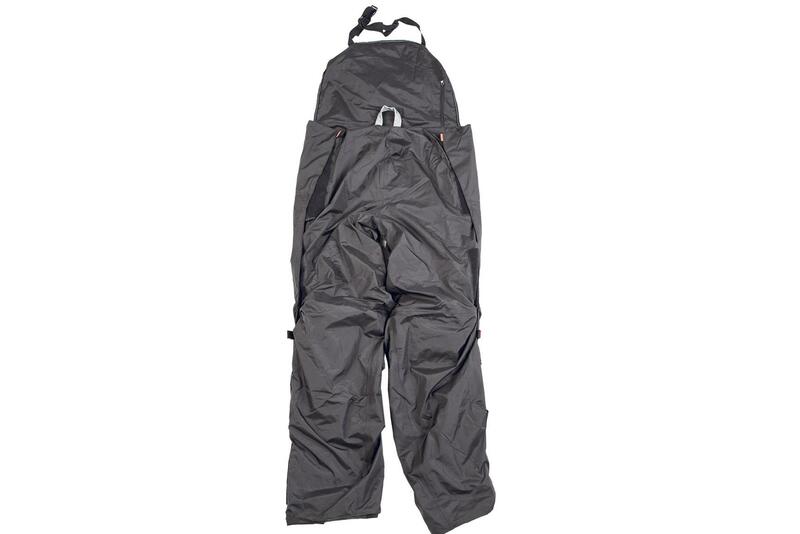 The legs open fully from hip to ankle with Velcro fasteners for ease of use." What’s not? "It’s a shame they don’t come with any protection. The material is quite lightweight and I’ve managed to nick a small hole in them, it was such an inconsequential incident I didn’t know I’d snagged them but there’s a small triangular tear."